Note: This is currently my review on Yelp for the Cafe. I recently roadtripped down US1 from Miami Beach to Key West, for a day trip with my wife. On our way, my wife found a listing for The Cafe in Key West that promised to have some decent food. Reading everyone’s reviews also gave her something to do on the rather monotonous drive. Once we got there, I was soooo glad we went to The Cafe. The place was empty and we were seated promptly. 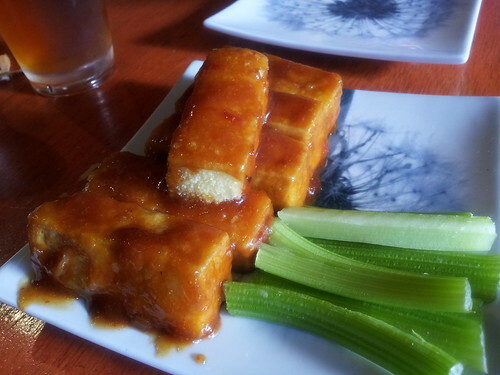 We started our lunch with an order of BBQ “Unwing Dings” and they were perfect – little sticks of fried tofu (think more tempura than heavy breading) – with an amazing asian-style BBQ sauce. Super awesome. I also went with the veggie burger – I know, I am lame. But I am also a dude, so what do you expect? We wanted something quick and filling…we had to have the rental back in Miami Beach by 5PM. Veggie burger was super rad. 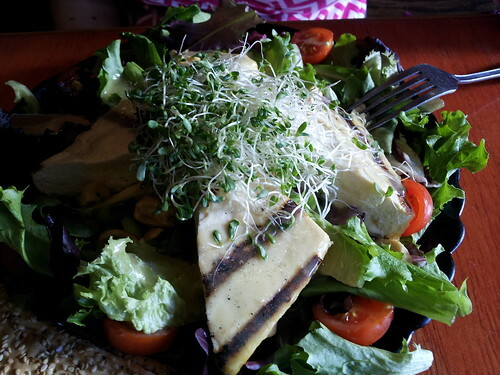 Melanie got a marinated tofu salad (I forgot the name). While she said it was “OK,” she was weirded out by the warm tofu on a cold salad. She also said the tofu didn’t seem marinated, more “dunked in sauce.” It seemed like something she could easily make at home. For me, none of that matters as the house made vegan burger was phenom. 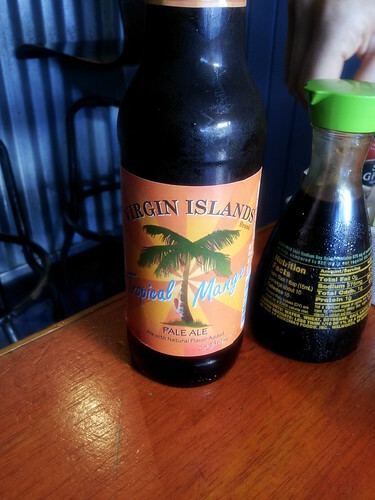 I also paired it with a tropical Mango Pale Ale from some brewery in the USVI which I highly recommend for those steamy Key West Summer days. FWIW, we left lunch at 1:30 and pulled into the car rental place at 4:45 – record time! And we had a great vegan lunch to boot. 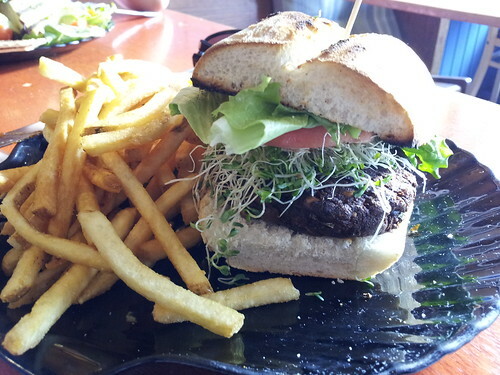 Previous PostRestaurant Review: Sublime [Ft. Lauderdale]Next PostWelcome to Off-road Vegan!